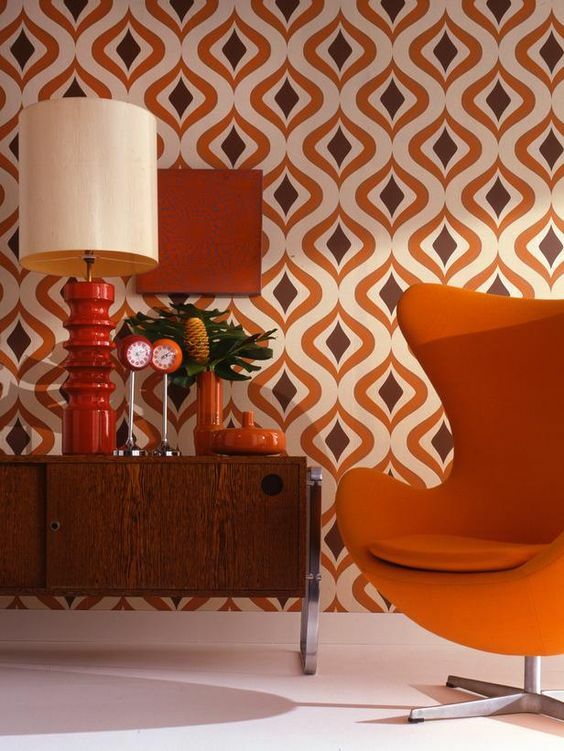 Retro will never go out of style: whether we are speaking of fashion or home décor, it’s always actual and its flavor and unique ambience attracts many people. 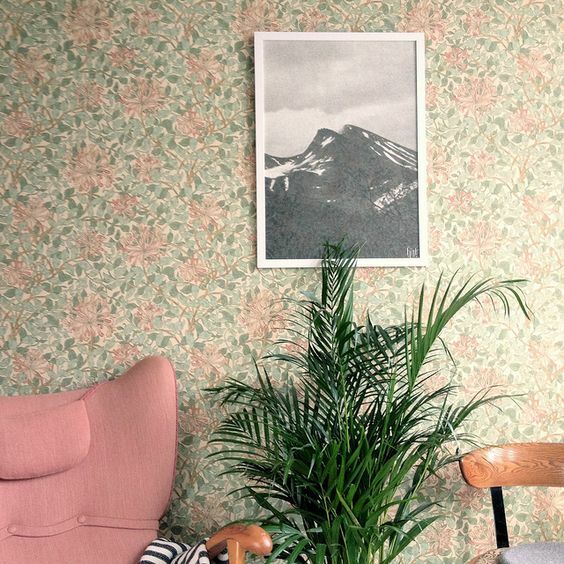 How to bring this retro feeling to your interior? 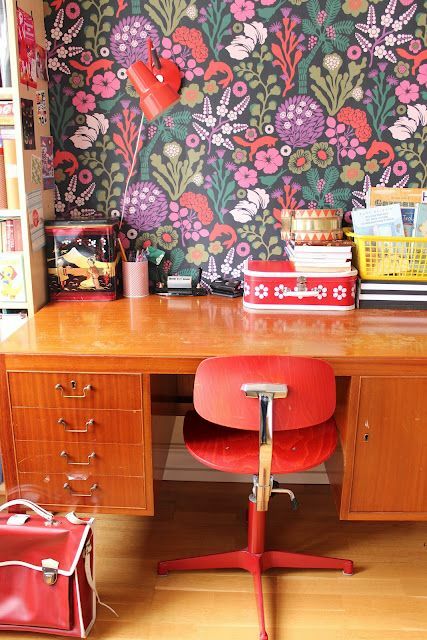 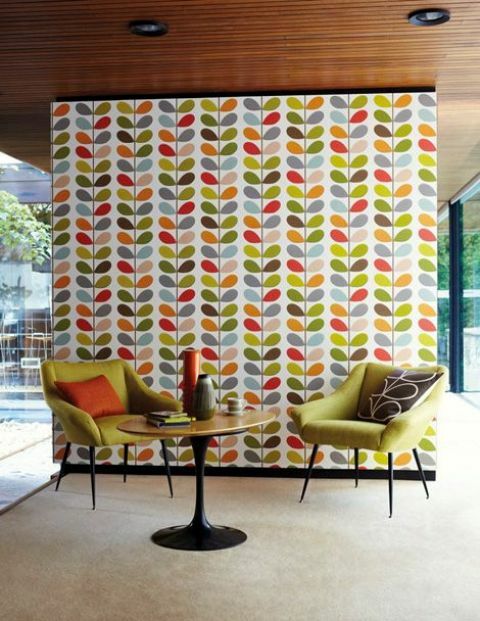 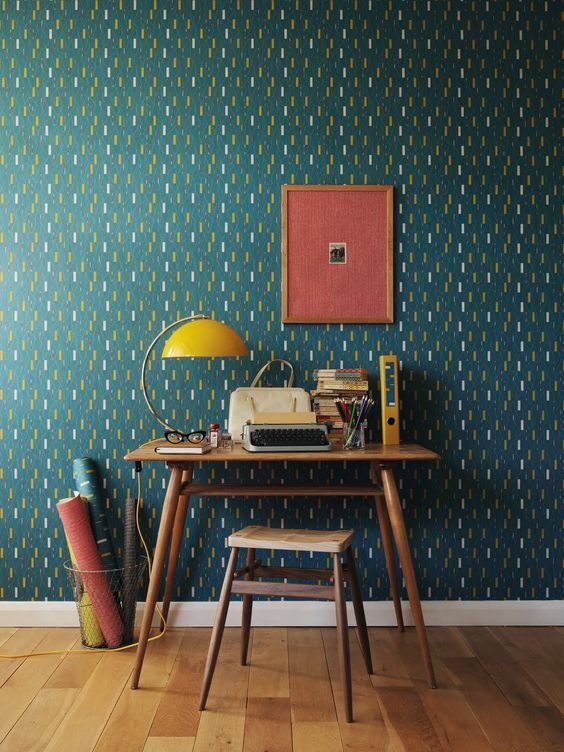 With furniture, accessories, materials, prints, of course, and retro wallpaper is among those popular ideas that can easily turn a usual space into retro-infused one. 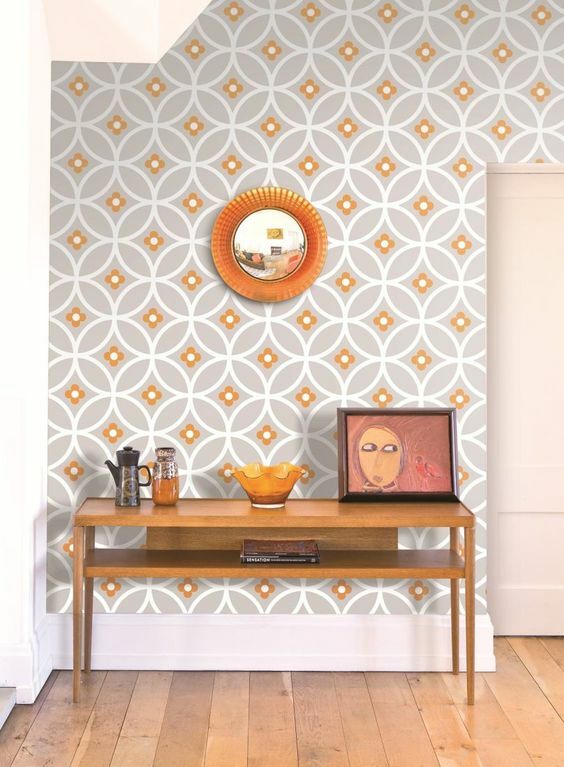 The most popular prints for retro wallpapers are geometric ones and floral or botanical ones – these patterns just scream retro. 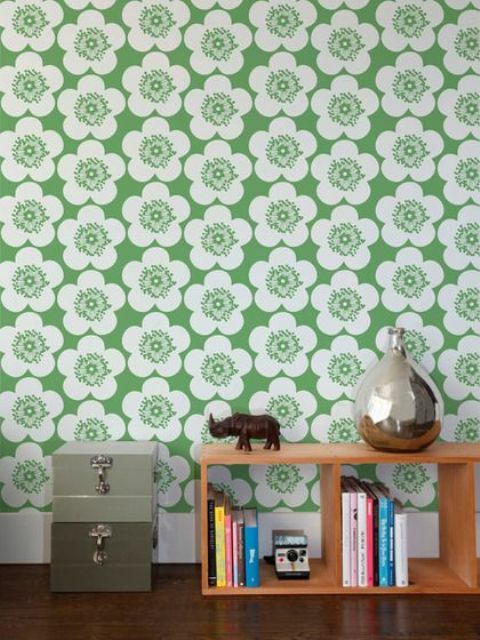 They can be bold or more neutral, the prints can be large or small ones and you’ll easily find wallpaper that you like. 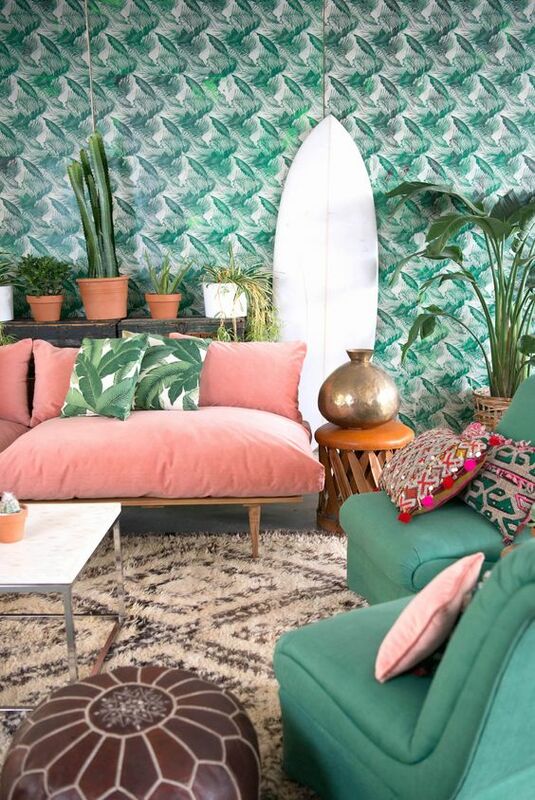 The color combos are often rather bold and very eye-catching, be ready for this and if you want a calmer ambience, opt for just one accent wall with retro wallpaper. 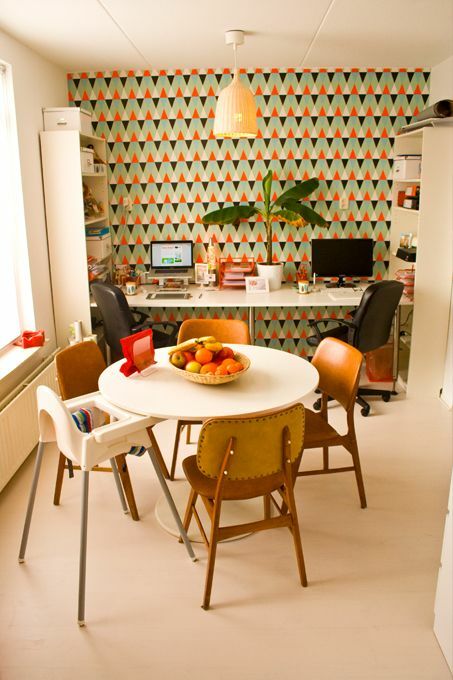 Let’s have a look at the most popular ideas and options to choose from. 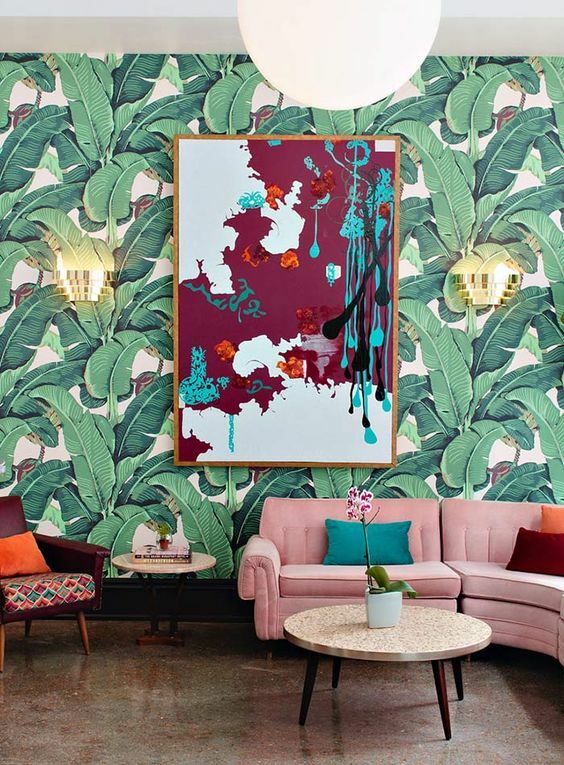 Floral and botanical prints are characteristic of retro times, and you can find thousands of ideas: delicate blush and blue flowers, giant palm leaves, various herbs and foliage looking like real ones almost or stylized. 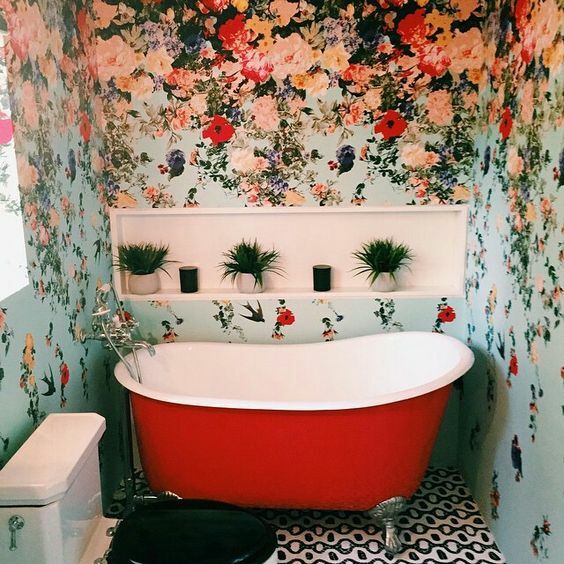 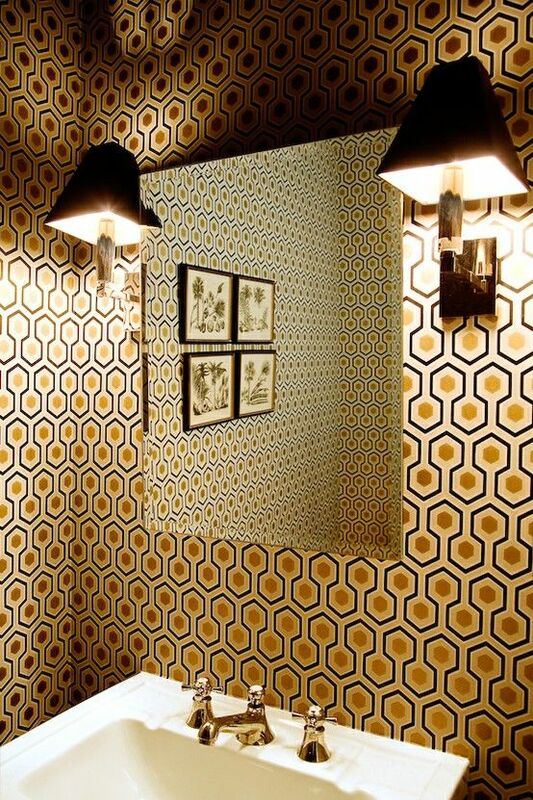 Such wallpaper is great for a bedroom, a living room, a kitchen and a bathroom- yes, a bathroom! 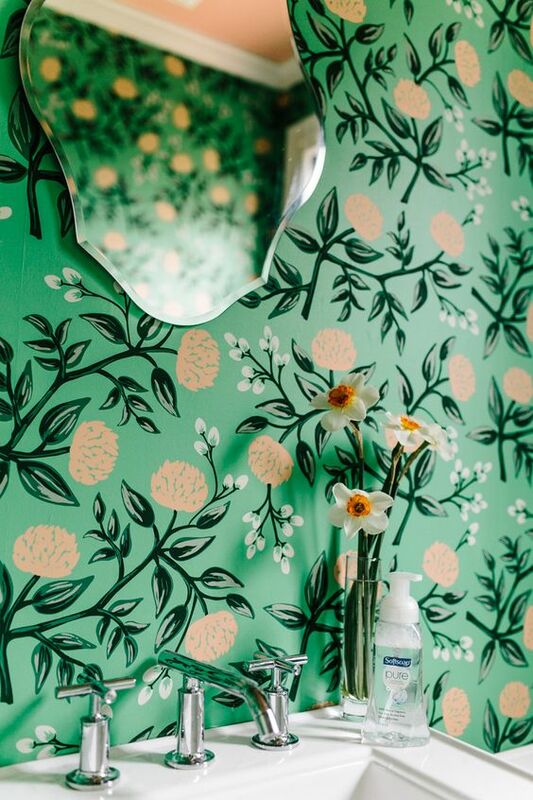 Any botanical touches create a feeling of a spa in your bathroom, so why not go for a botanical wallpaper statement wall? 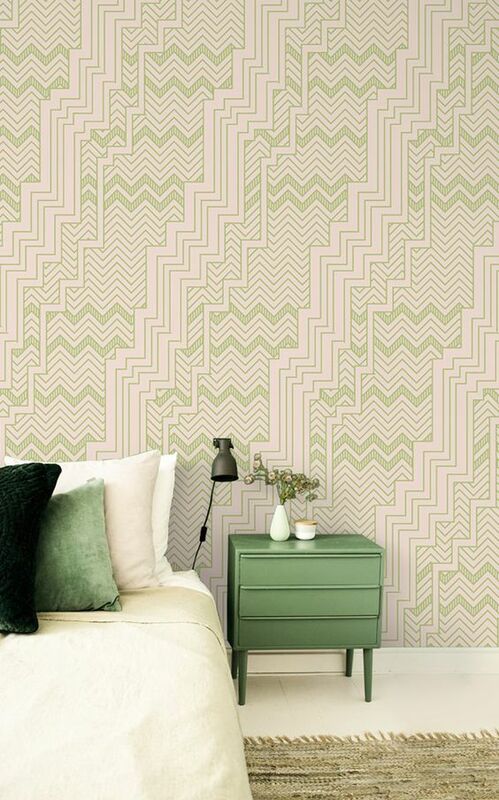 There are rather calm-looking wallpapers that won’t disturb your sleeping and will look beautiful, especially in a girlish space. 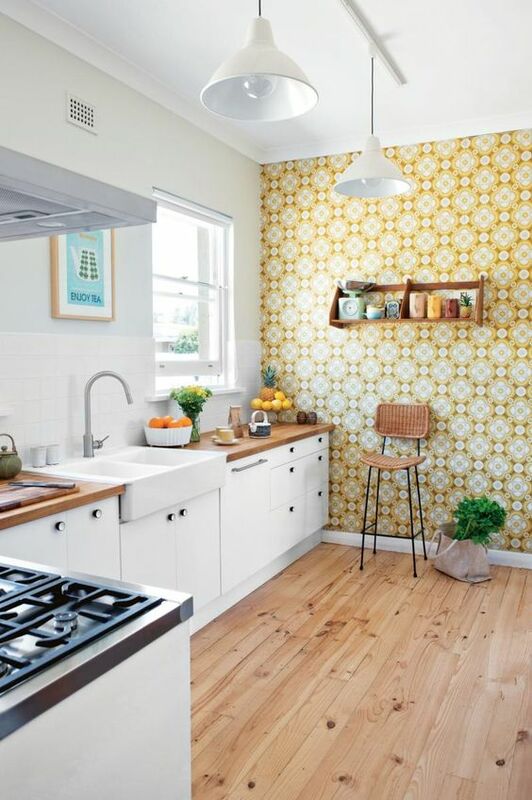 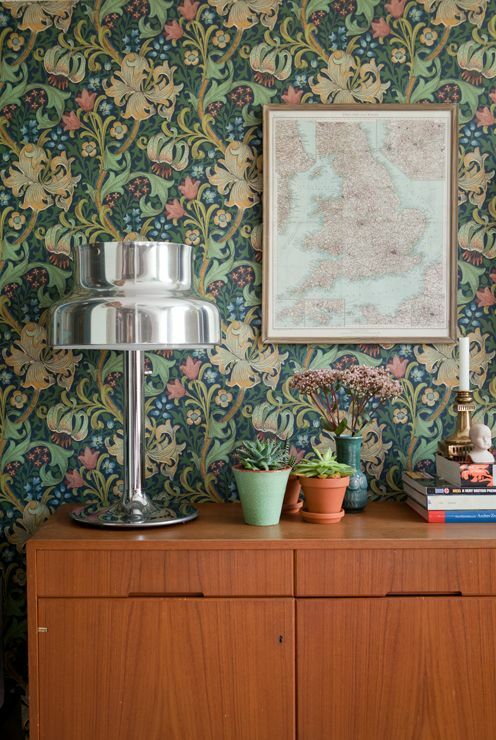 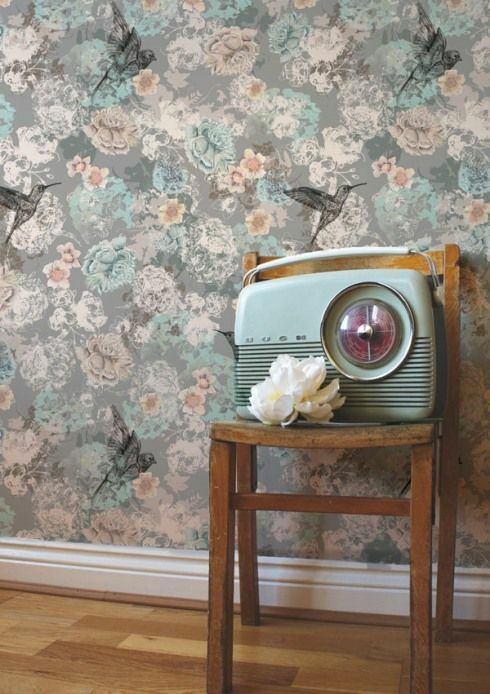 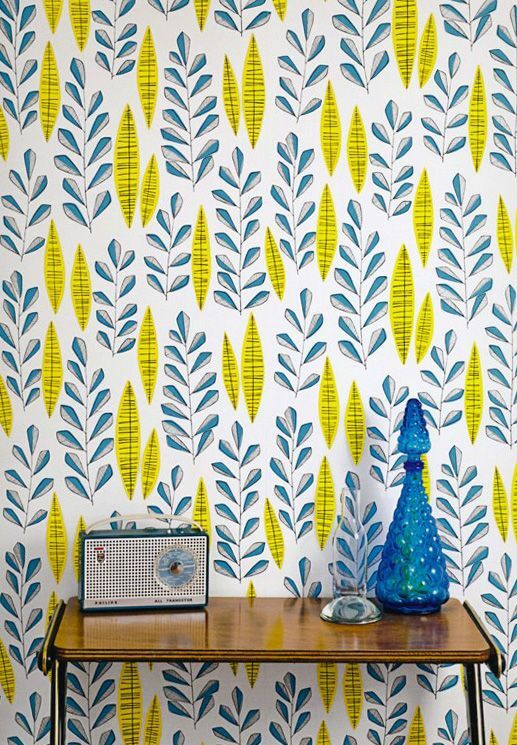 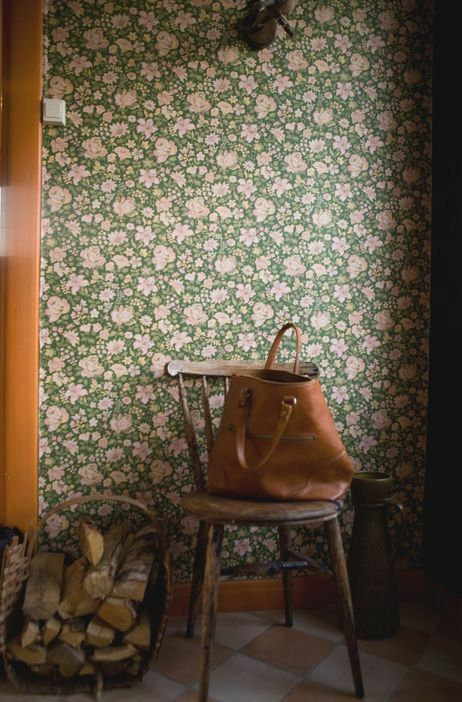 Actually, you can use retro botanical wallpaper in manly spaces, too, just choose an appropriate look. 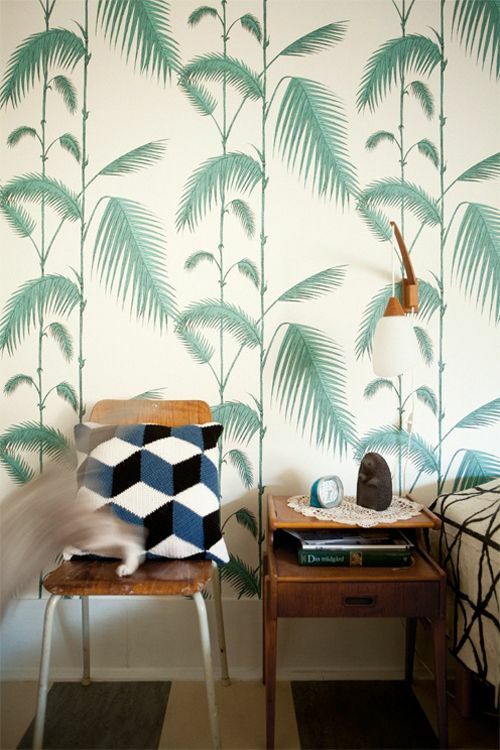 If you feel that it’s too much, go for just one accent wall with such wallpaper and voila! 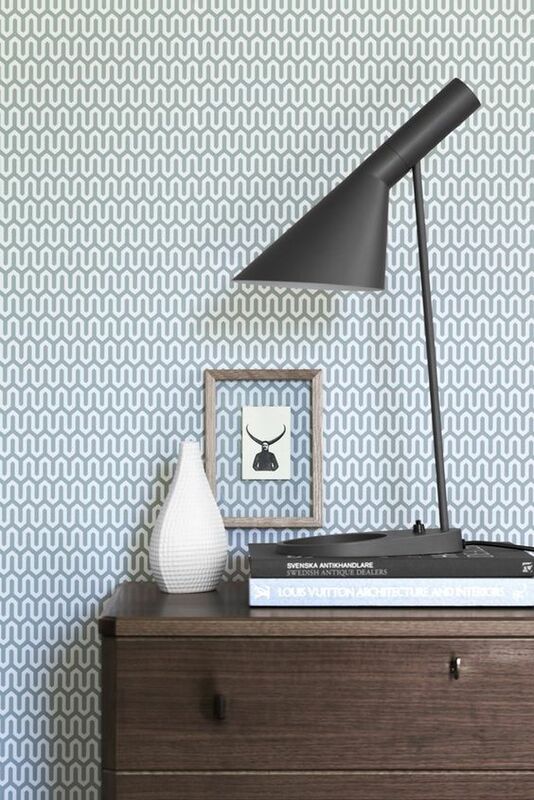 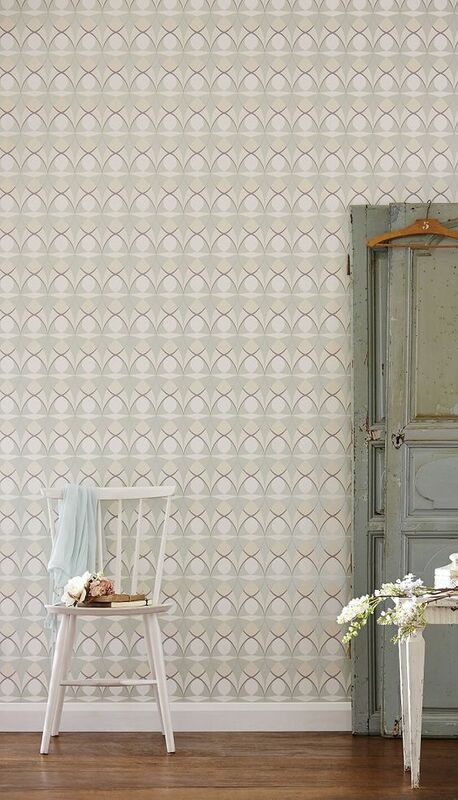 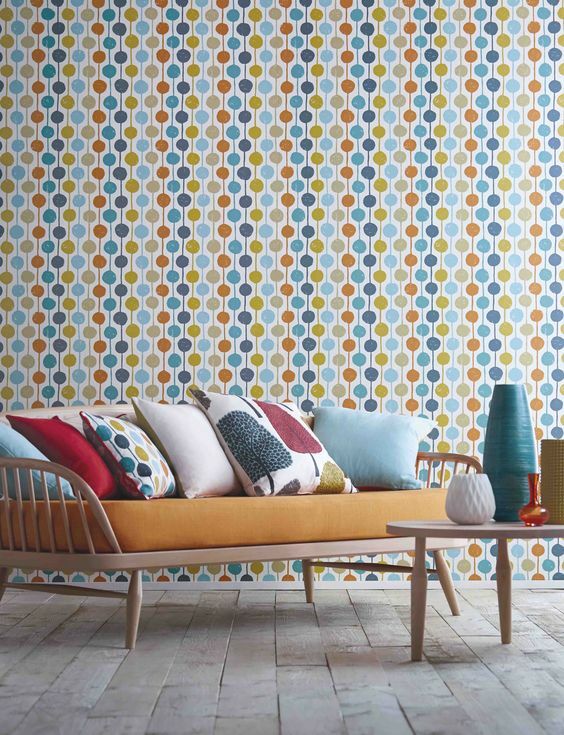 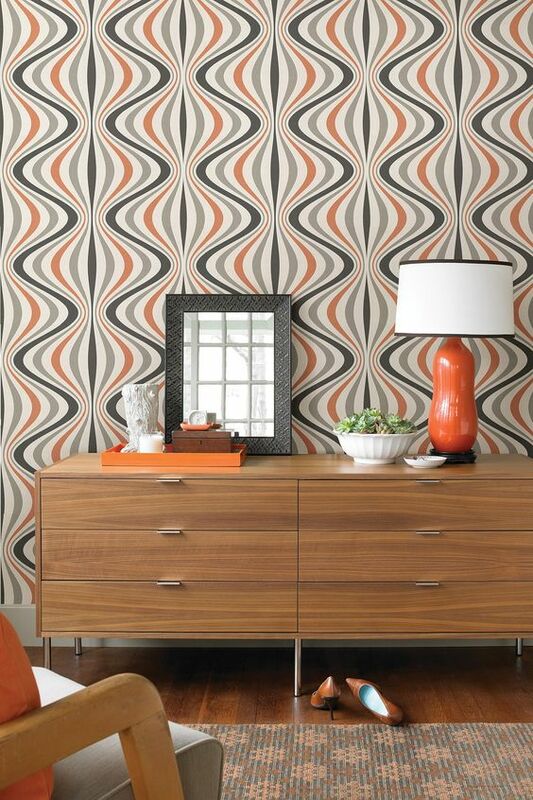 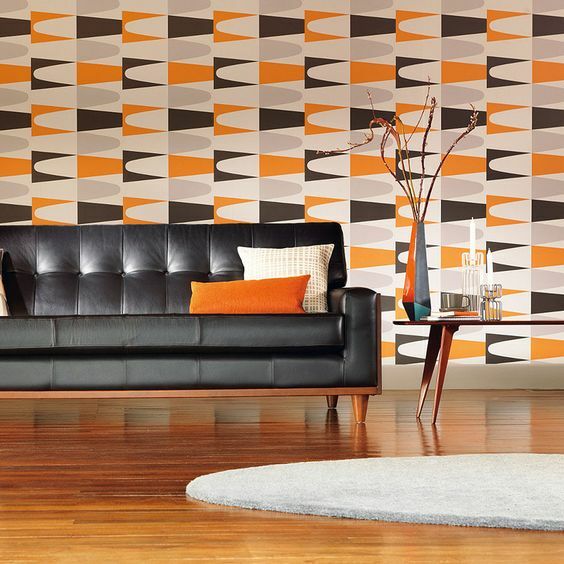 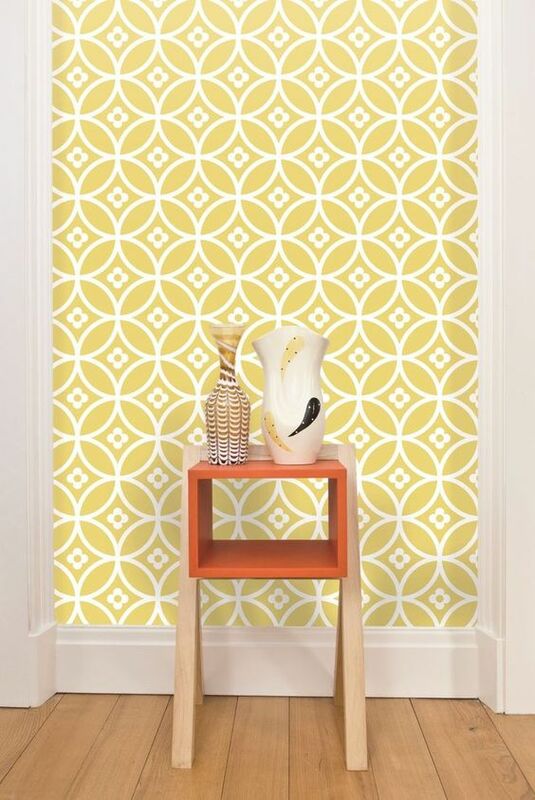 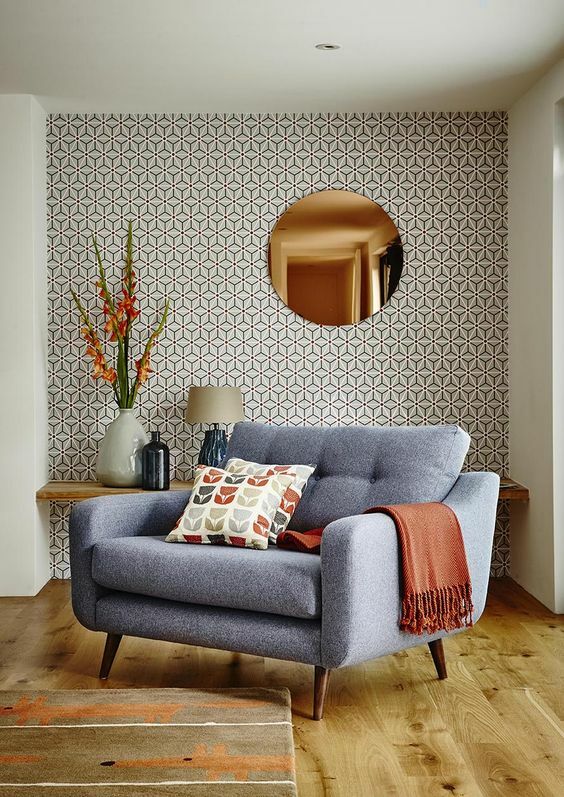 Geometric prints are another super popular type of prints for retro wallpapers. 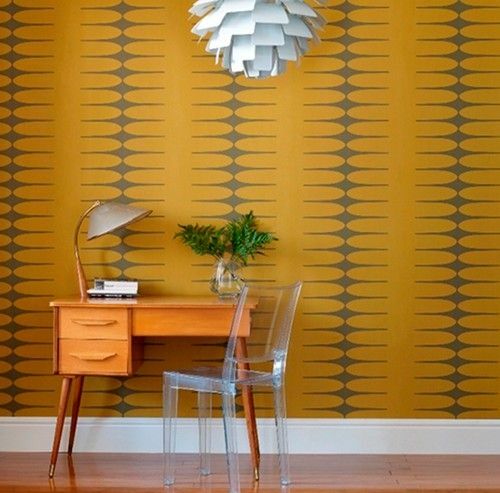 These wallpapers can be in different shades: orange, brown, green, yellow, grey, black, white, red, pink and so on, and the combos will be rather bold. 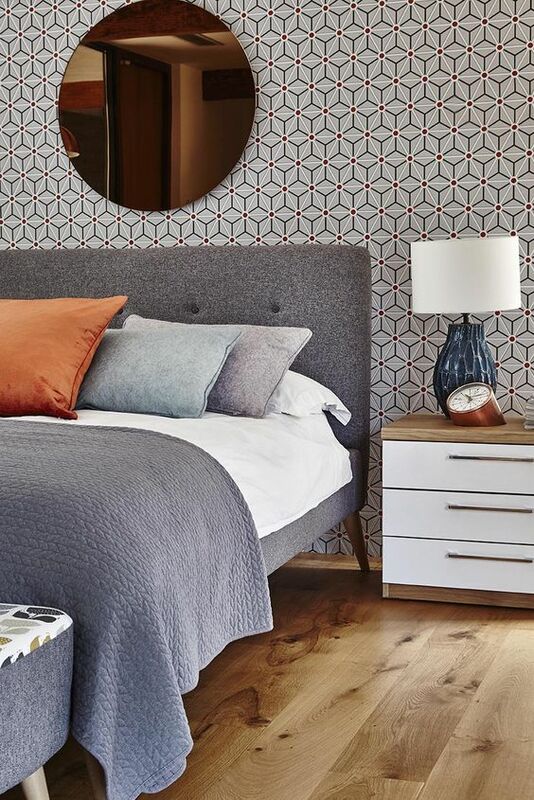 As for patterns themselves, you can find anything from squares and circles to more eye-catching combos that will make a statement. 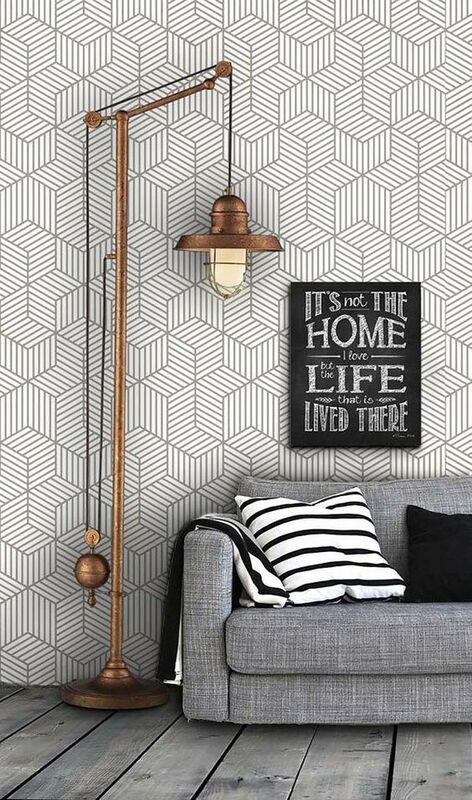 Use them everywhere you want: in living rooms, kitchens, bedrooms, bathrooms, dining spaces and so on – geometry is great everywhere and besides, it’s a huge trend right now. 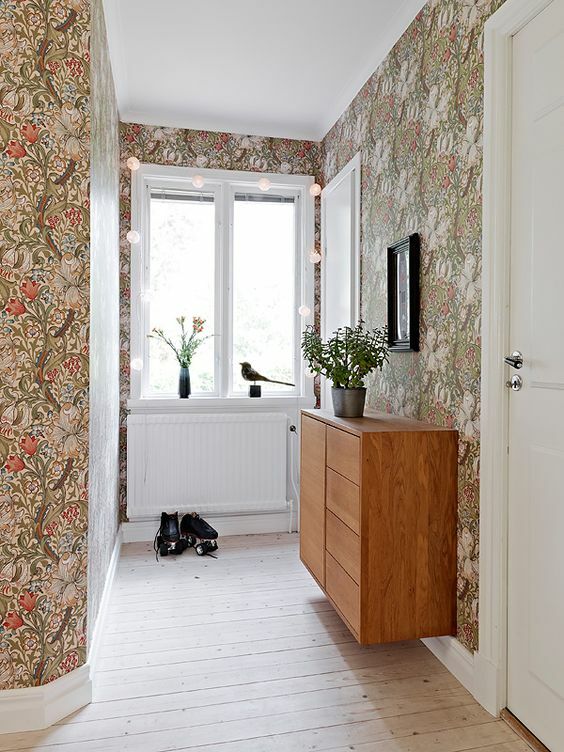 If you are covering the whole room with such wallpaper, the furniture and accessories should look corresponding, especially in colors. 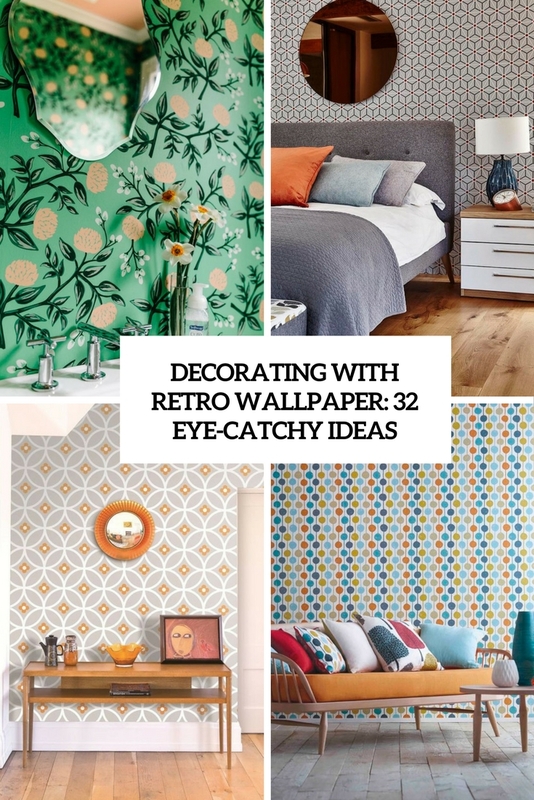 With bold retro wallpapers your space will always be eye-popping and trendy, so don’t hesitate to choose some of these prints!